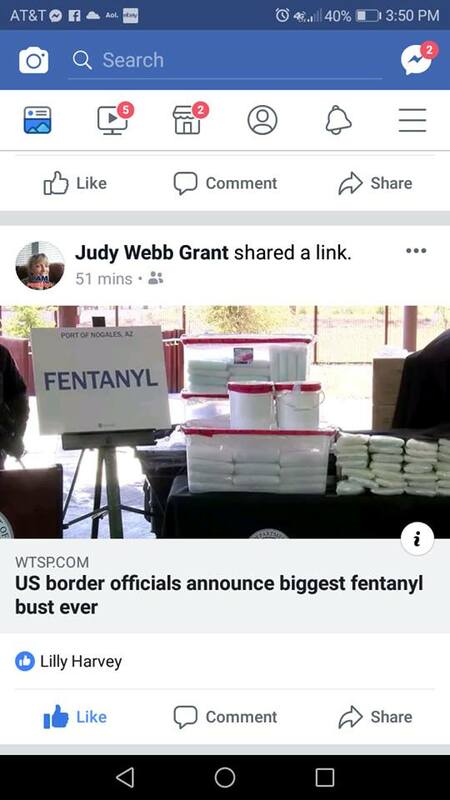 One of the largest fentanyl busts in U.S. history occurred on January 26. TUCSON, ARIZONA—US Customs and Border Patrol (CBP) agents stopped a man coming into the US from Mexico carrying a truck load of cucumbers at the Nogales, Arizona Port Of Entry on January 26. A CBP Narcotic Detection Canine alerted officers and lead CBP agents to discover 400 packages that contained 254 pounds of fentanyl and nearly 395 pounds of methamphetamines. According to www.cbp.gov website, officers at the Nogales, Arizona commercial facility seized 650 pounds of fentanyl and methamphetamine. Nearly $4.6 million worth of the drugs were confiscated making this the largest fentanyl seizure in history and the third largest at any Arizona POE. The drugs were found beneath the floorboards under a tractor-trailer load of cucumbers. The 26 year-old male truck driver was arrested and turned over to Homeland Security Investigations. He is in federal custody and is being charged with two counts of 21 USC 841 possession with the intent to distribute. “Thank you CBP for seizing the largest amount of Fentanyl in history at the Nogales, AZ POE Well Done! @DHS.Gov needs the funding and resources from Congress to continue to protect our communities from dangerous drugs that come across our southern border,” tweeted Secretary of Homeland Security Kirstjen Nielsen. “This case clearly shows that HSI’s and CBP’s collaborative efforts continue to have an impact, as those attempting to smuggle illicit drugs are stopped at the border. These efforts exhibit the combined resources of law enforcement agencies’ resolve to combating these deadly drugs from entering our communities,” said HSI Special Agent in Charge Scott Brown. “I want to express my gratitude to the CBP officers involved in the case and Nogales personnel who selflessly perform their duties with dedication, vigilance, and professionalism even during a funding hiatus. Opioids pose a real danger to every community in America and are having fatal consequences across our Nation. This past weekend our CBP officers were able to stop an enormous amount of these deadly narcotics from hitting our streets,” said Nogales Area Port Director Michael Humphries.